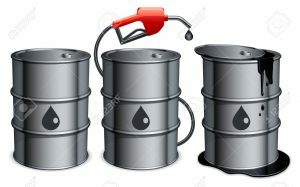 Vienna, Austria, 14 March 2016–The price of OPEC basket of thirteen crudes stood at $35.62 a barrel on Friday, compared with $35.23 the previous day, according to OPEC Secretariat calculations. Meanwhile CNBC reports that oil prices were stable in early trading on Monday, with global oversupply and slowing economic growth weighing on markets but prospects of falling production lending some support. U.S. crude futures were trading at $38.41 per barrel at 0239 GMT, down 10 cents from their last settlement. But international Brent futures were up 6 cents at $40.45 a barrel. While Morgan Stanley said that oil prices had likely bottomed out, it warned that a slowing economy and high production would prevent sharp rises.